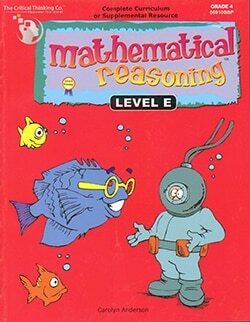 Mathematical Reasoning Level A “teaches the mathematical concepts and skills students are expected to know in kindergarten”. It introduces several skills and concepts normally taught in first grade. Level A is written to the standards of the National Council of Teachers of Mathematics. 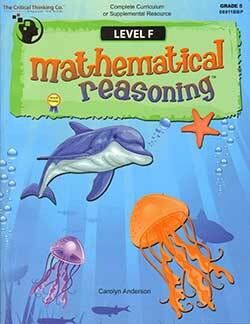 Grade Kindergarten, paperback, 256 pages. 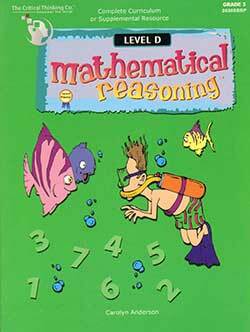 Level B is written to the standards of the National Council of Teachers of Mathematics. Grade 1, paperback, 272 pages. Level C is written to the standards of the National Council of Teachers of Mathematics. 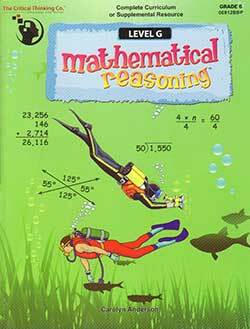 Grade 2, paperback, 320 pages with answers in the back.